Our online platform accepts a number of file types, including JPGs and PNGs. We do not currently accept PDF, EPS, or SVG design files online. 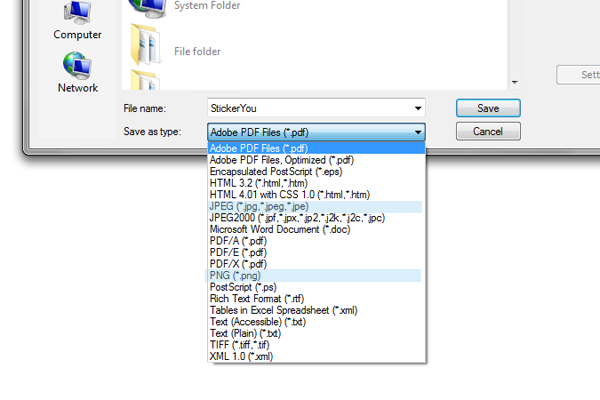 If your file is a PDF, please open your file using Adobe Acrobat or your design program. Then click File>Save As> and choose either PNG or JPG from the drop down menu. 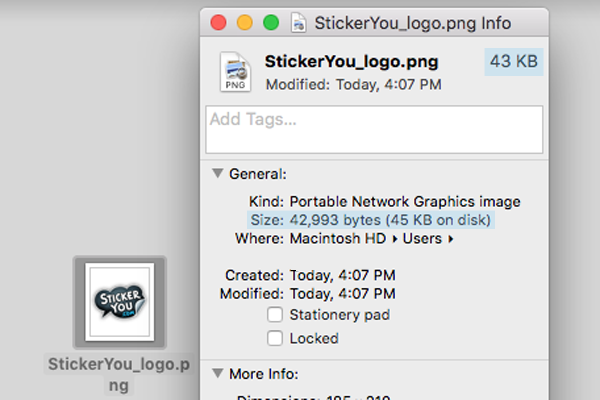 If you are using an EPS or SVG file, please open your file in your design program and choose File>Export> and then choose either JPG or PNG file formats. This will create a new image file that you can upload to our site. 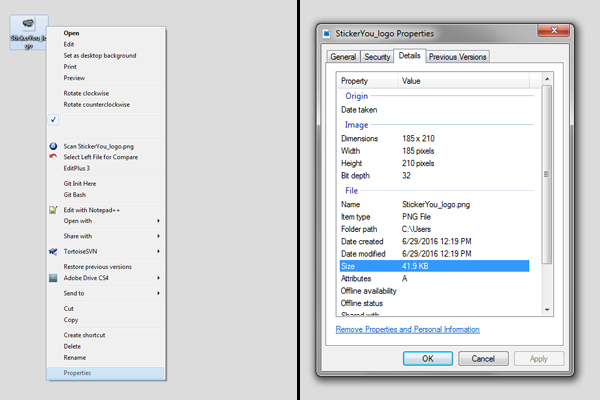 JPGs and PNGs are both image file types, however they all have slightly different capabilities. JPGs generally have a smaller file size because they are compressed, which makes them faster to upload. The downside of JPGs is that compression can cause the loss of some detail in the image file. Thus small sharp details may appear slightly blurred or lower resolution. This can be avoided by ensuring your image file has the correct resolution (see further below). PNG files are typically a larger file size and may take longer to upload. This is because PNG files support transparency. This means that the white background of your image or design, actually doesn't exist, and is merely a placeholder. PNGs are the ideal file format for getting the best contour custom die cut. 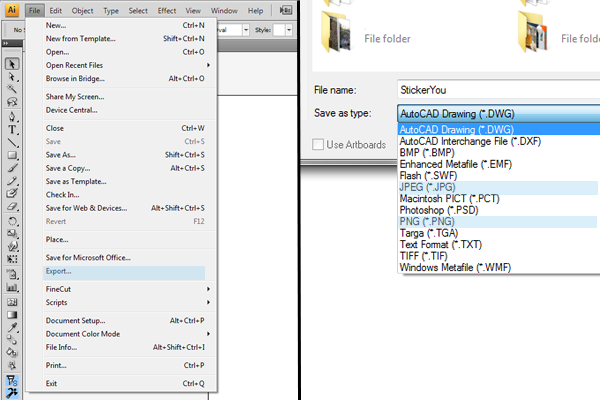 Select the image or design file with your mouse, then press Command + I on your keyboard. This should bring up a menu. Find the File Size information. Right click the file then choose "Properties" from the menu. Click the "Details" tab in the pop-up menu and look for "Size". Blurry or unclear stickers and labels are often the result of the resolution being too low. Images and design files are made up of pixels. The resolution is how many pixels are in the image. For printing your labels and stickers, we are mainly concerned about the DPI (dots per inch) which essentially is how many pixels (or ink dots) are in one inch of your image or design. A 72 dpi means that there are 72 ink dots printed in one inch of your design. This is fine for stickers or labels that are only 1-2 inches in size. However if your stickers or labels are to be printed larger than that, we strongly recommend making your design file or image 300 dpi. If you are using an image file (JPG or PNG), open the file using photo editing software like Photoshop. 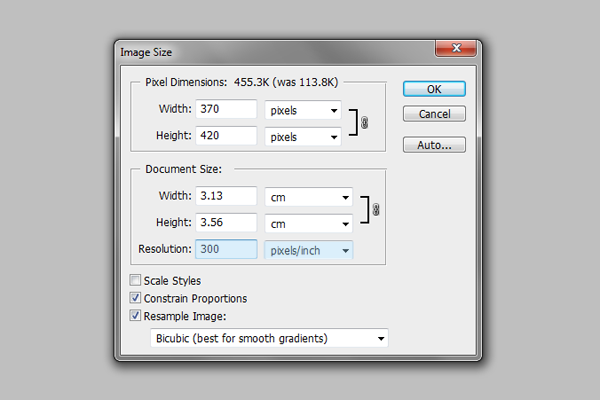 Choose Image>Image Size from the drop down menu. Then change the "Resolution" box to read 300. Ensure the drop down menu beside this box is set to pixels/inch. If you are using a design file (PDF, SVG, EPS), then you will need to first export the design file as an image file and then open the image in photo editing software. Color mode is how the colors of your image or design file are made up. Design files and image files are either in RGB color mode or CMYK color mode. Most design programs and image programs will default to RGB mode because this is the color mode used to display images on a screen (like the screen of your computer, tablet, phone or TV). However most printers print in color mode CMYK. When you upload an image or design file that is RGB color mode and send it to print, our printers will try and mimic the RGB colors using CMYK colors. This sometimes results in your colors appearing slightly off or different than you saw on screen. To prevent this from happening, we highly recommend designing your stickers or labels in CMYK color mode. That way our printers won't have to translate colors and it is less likely there will be an error with the colors. Open your file in a design program like Adobe Illustrator, InDesign or Photoshop. In Illustrator or InDesign, choose File>Document Color Mode and select CMYK. Your stickers and labels can have either a bleed or padding. Padding is a small white border that appears around the outer edge of your design. Bleed is when there is no white border around your design, and your background colour extends right to the edge of your sticker or label. Padding is the default setting in our sticker editor platform, so if you would like padding, simply upload your design and select a die-cut shape. The padding will be added automatically. If you wish to remove the padding from your stickers or labels, then you need to ensure you extend your background colour past the black dotted cut line and touches the orange dotted bleed line in the sticker editing platform. In the sticker editor platform, select Background Color, and then click on the eyedropper tool in the bottom right corner. Use the Eyedropper tool to select the background color you wish to extend to the bleed line. This will fill the background with that color, thus creating a bleed and ensuring there is no padding on your stickers or labels. Click this video for a step-by-step tutorial. To make sure your text prints out as legibly as possible, make sure it is at least 6 pt. in size. Also avoid using thin, hairline fonts as these are more likely to be illegible from a distance. 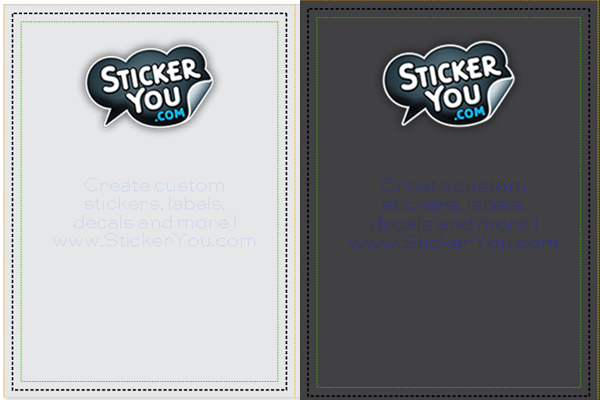 We highly recommend when choosing colors for your stickers or labels that you choose contrasting colors. Contrasting colors are colors that stand out from each other. Avoid choosing too many dark colors or too many light colors. Adding a light design or text to a light background can make it difficult to see. It may also be difficult to see a dark design on a dark background. We recommend creating either a light design on a dark background or a dark design on a light background. There you have it! 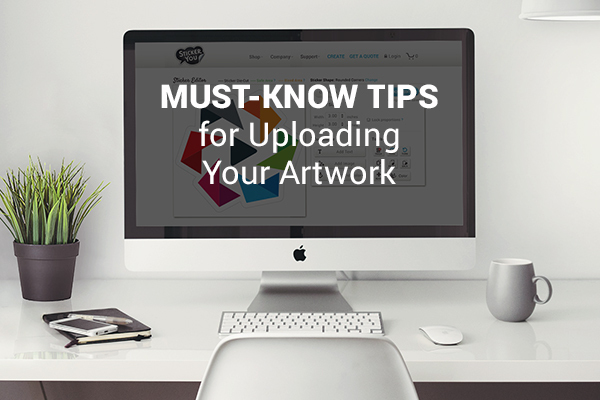 Simple steps for ensuring your artwork prints at a better quality. Better artwork= better stickers and personalized labels.